St James’s is a central district in London in the City of Westminster, forming part of the West End. 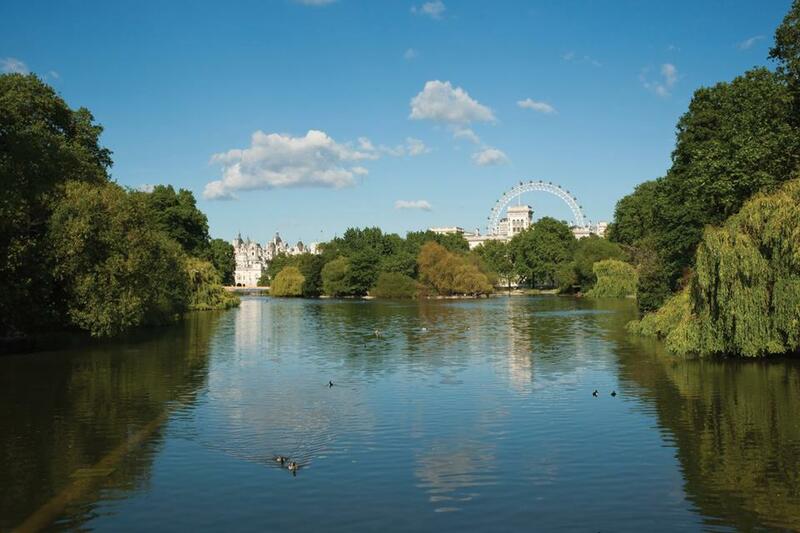 Located next to Buckingham Palace and St James’s park, the area is extremely convenient for the shows of the West End and the bright lights, clubs and restaurants of W1. Despite its central location, St James’s is peaceful and quiet with an abundance of open space and delightful side streets with hidden gems. St James’s is traditionally known for its shirt makers, luxury perfumers and grooming. Jermyn Street, at the heart of St James’s is one of London's most historic and fashionable districts. St James’s is also the home to Fortnum and Mason. Regent Street contains an array of retail outlets and is one of the largest shopping streets in London. Famous for its Christmas lights, the street is very popular with tourists and locals alike. St James’s has a large concentration of private galleries including the White Cube. Routes 3, 6, 12, 13, 15, 23, 88, 94, 139, 159, 453 all service the bus stops on Regent Street, and routes 9, 14, 19, 22, 38 on Piccadilly. The nearest tube stations to St James's are Piccadilly Circus and Green Park, served by the Bakerloo, Jubilee, Piccadilly and Victoria lines.